Our choir is available to book for festivals, corporate events, conferences etc. 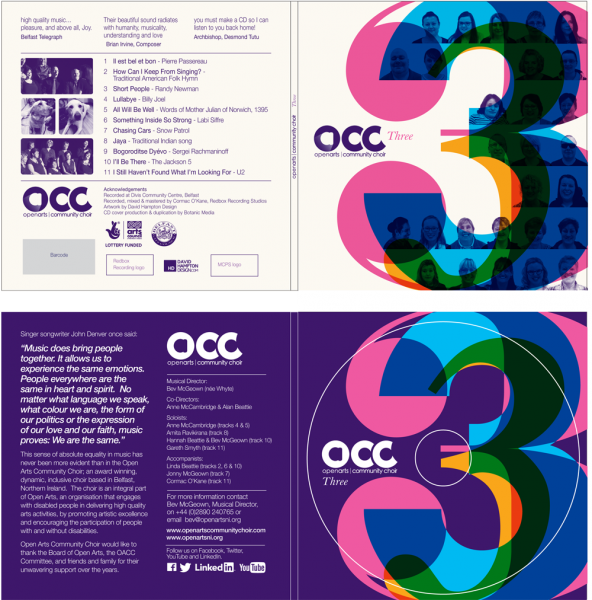 All performance venues for the OACC must be wheelchair-accessible. 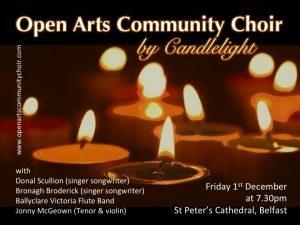 This event is open to all singers and you don’t need to be in a choir to attend. BBC Radio Ulster on Christmas Day! Competed in the European Choir Games in Riga, Latvia – won a silver diploma, gold diploma and 2 Gold medals! Competed in the Bangor International Choral Festival – won 3 classes, plus runners up in 2 classes, plus 2 special awards! 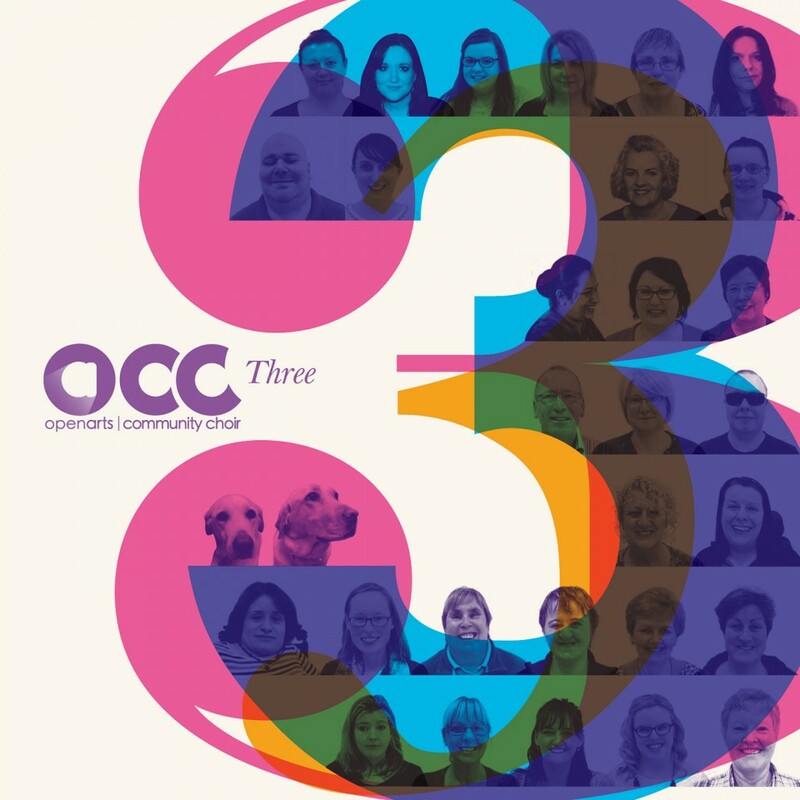 Our multi-award winning Open Arts Community Choir are launching their newest album, Three, with a special concert at the Duncairn Centre for Culture and Arts, supported by Colin Reid and with special guests NI Soul Troop. We are an award winning, dynamic, inclusive choir based in Belfast, Northern Ireland. 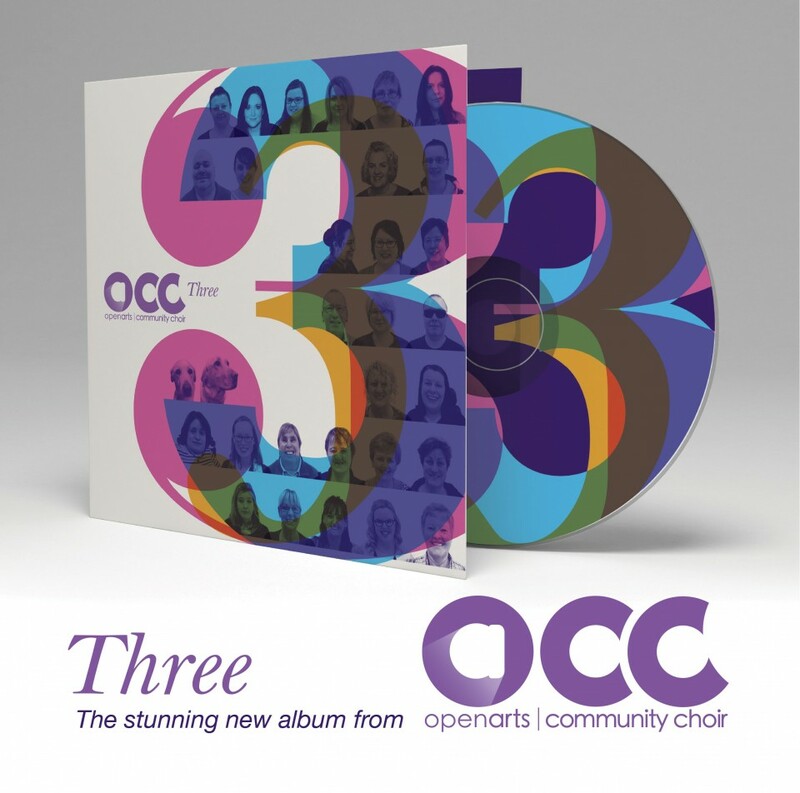 The choir is an integral part of Open Arts, an organisation that engages with disabled people in delivering high quality arts activities, by promoting artistic excellence and encouraging the participation of people with and without disabilities.